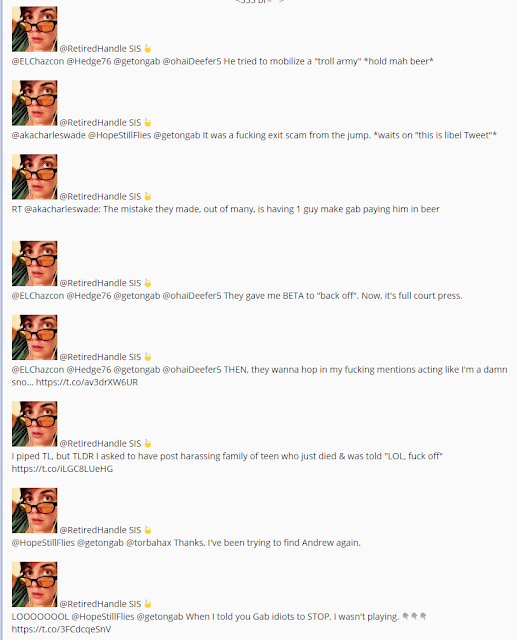 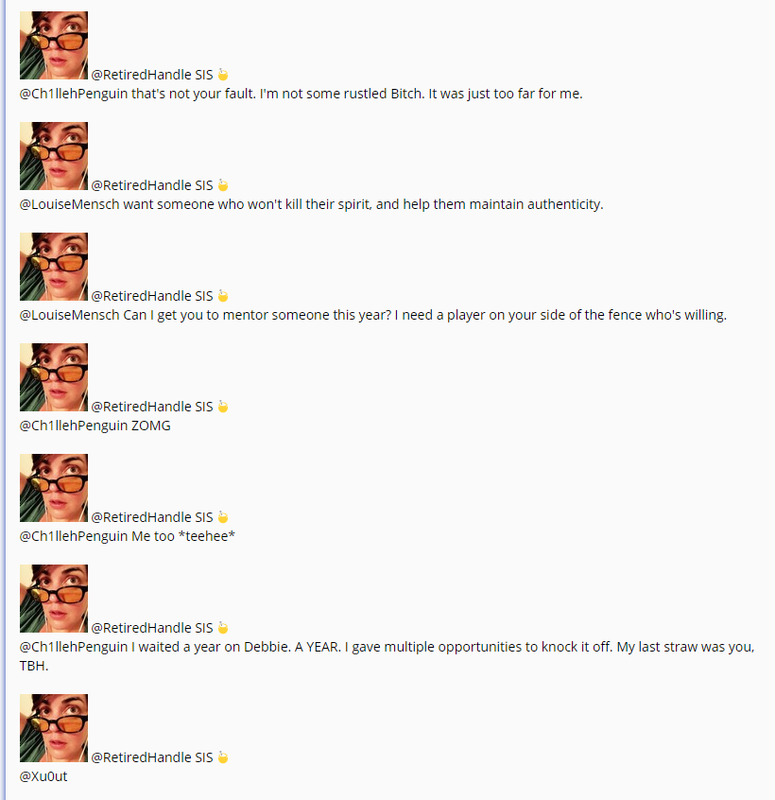 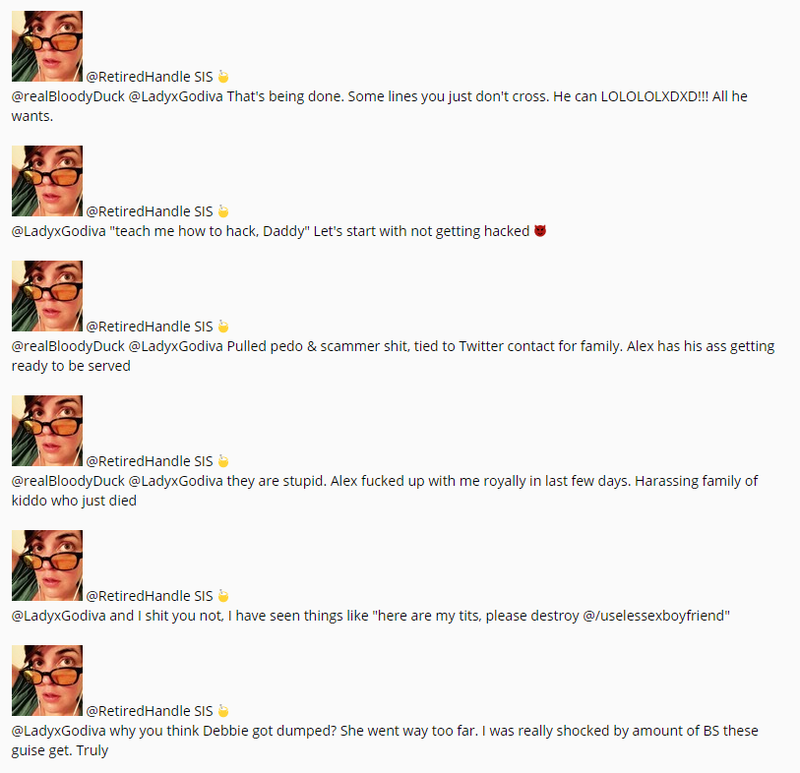 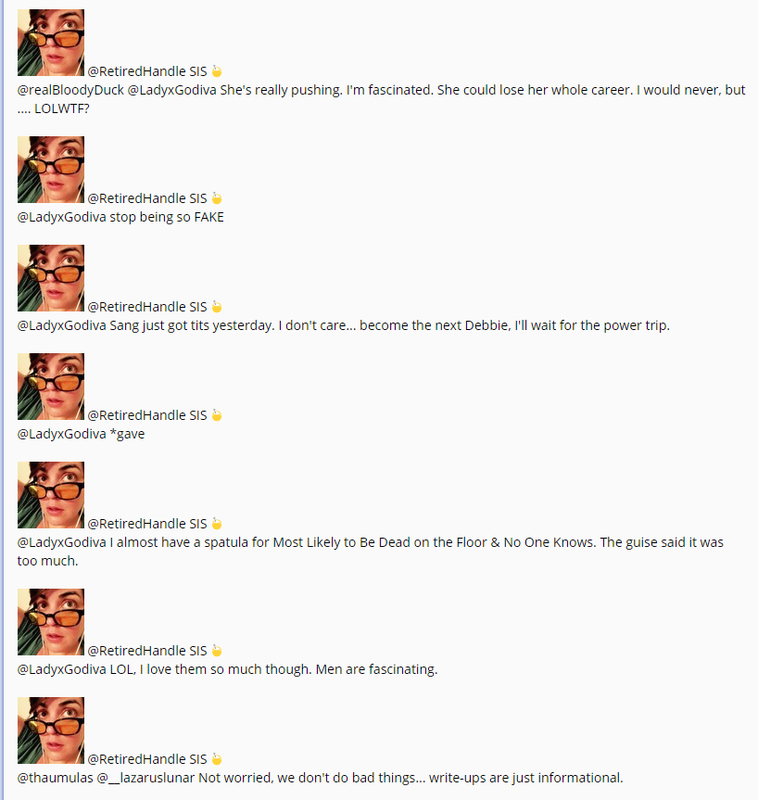 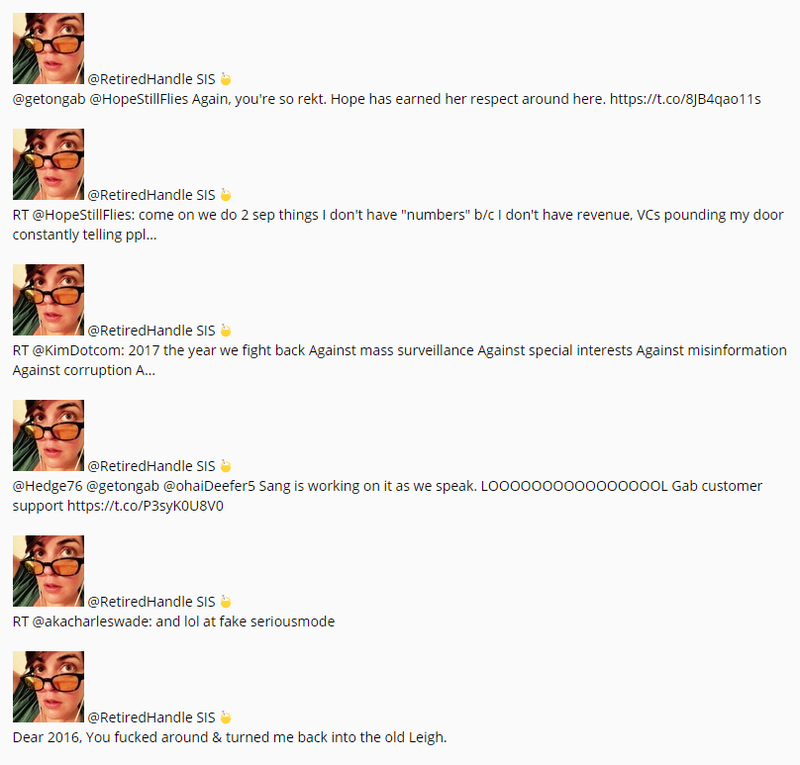 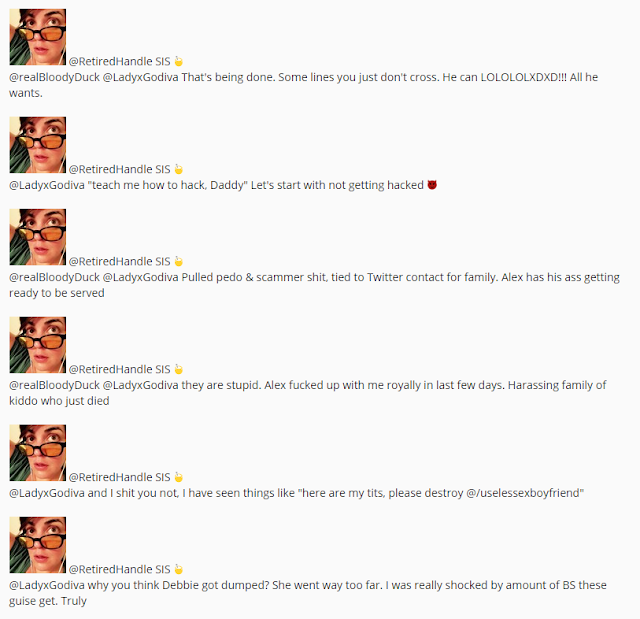 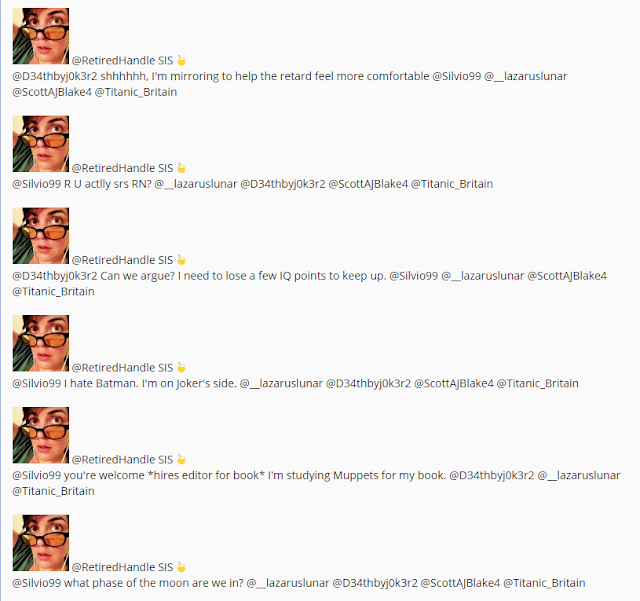 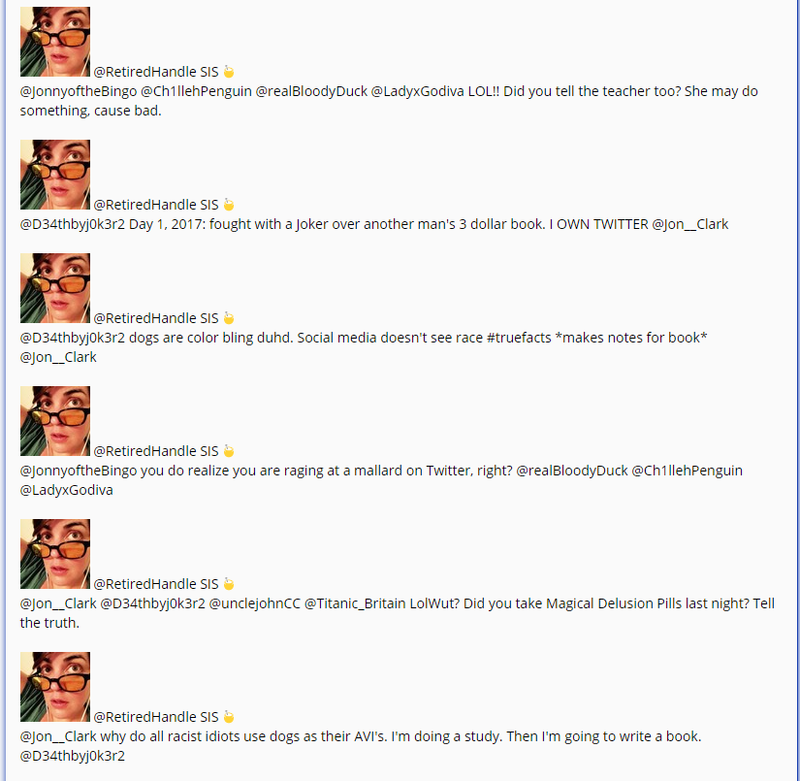 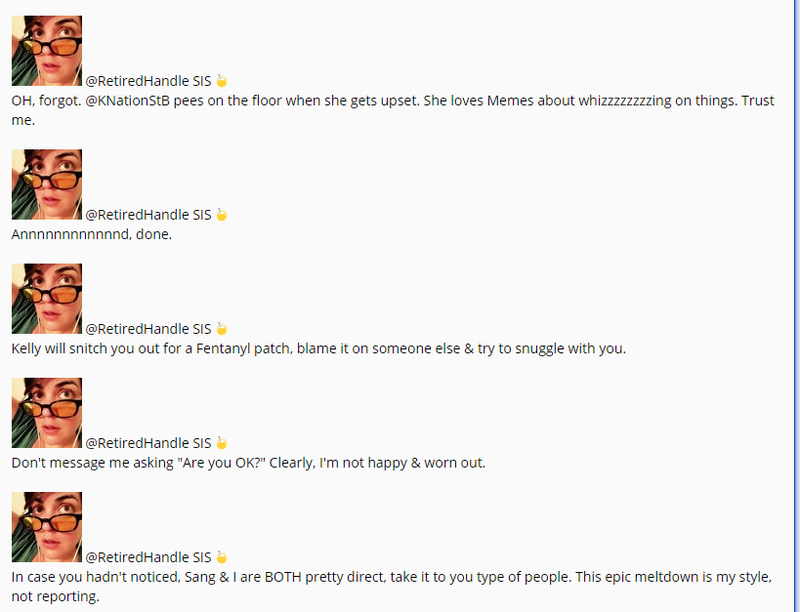 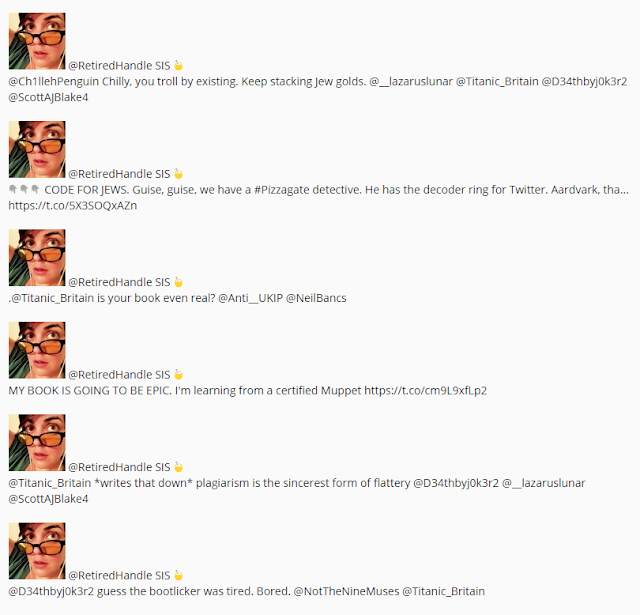 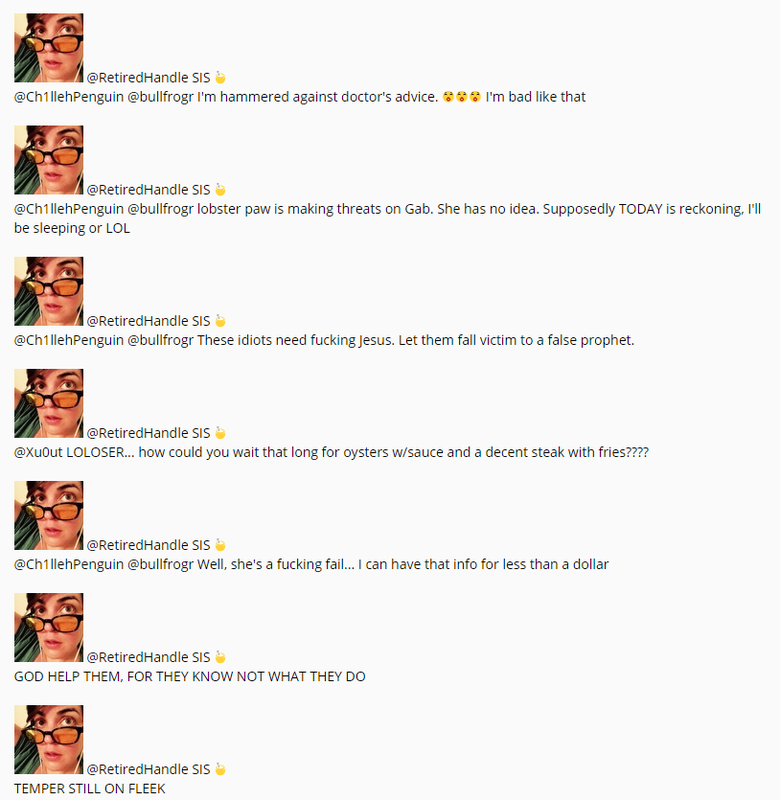 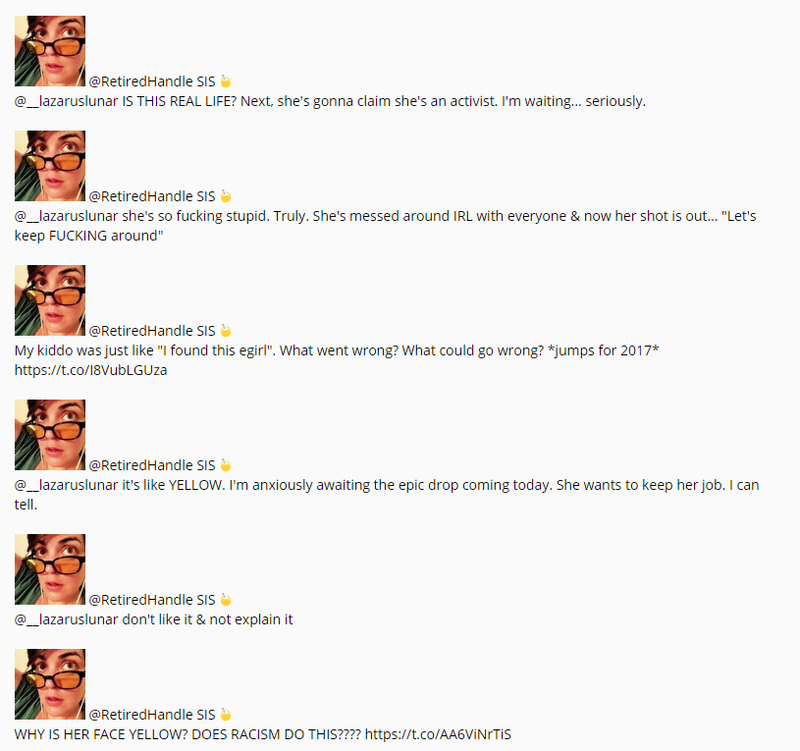 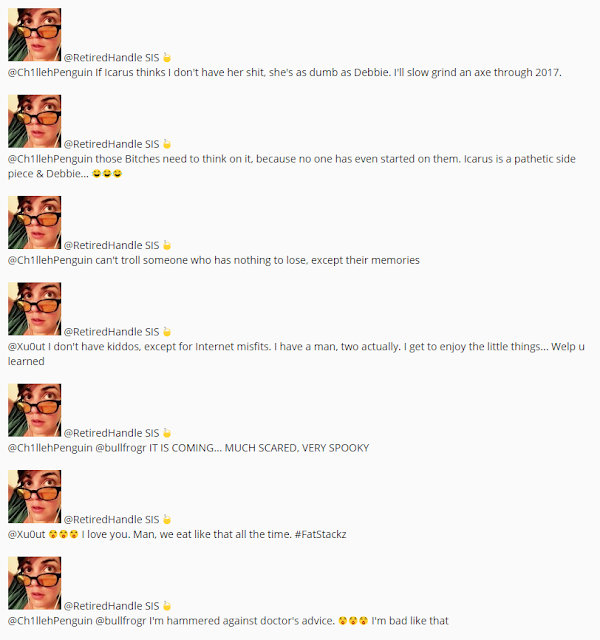 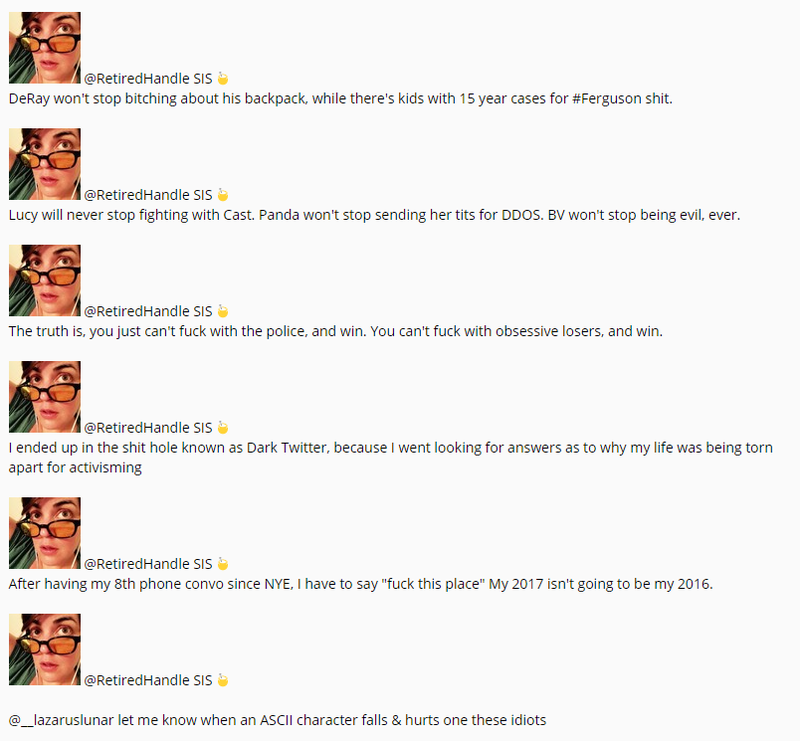 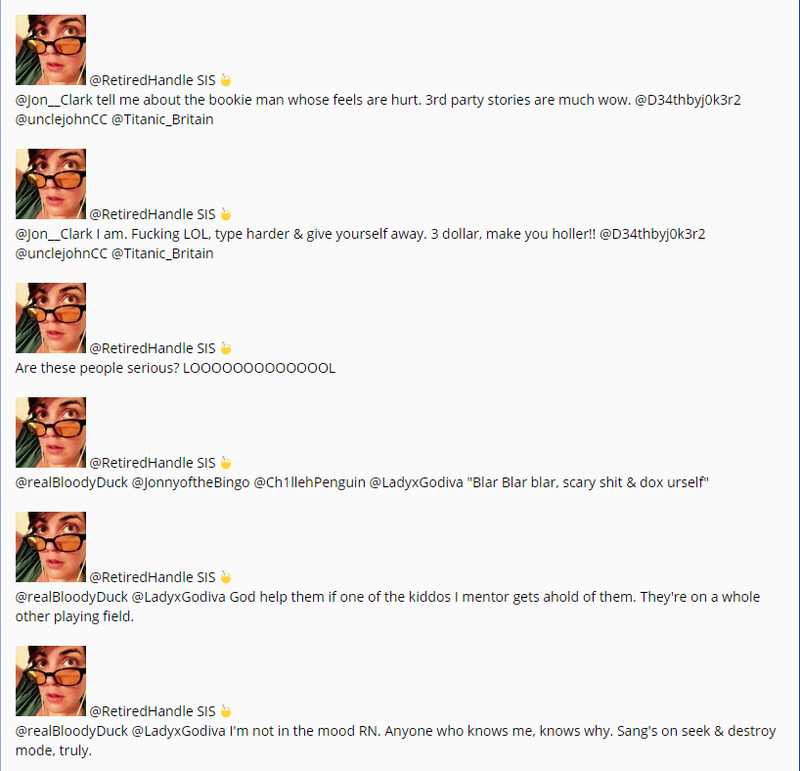 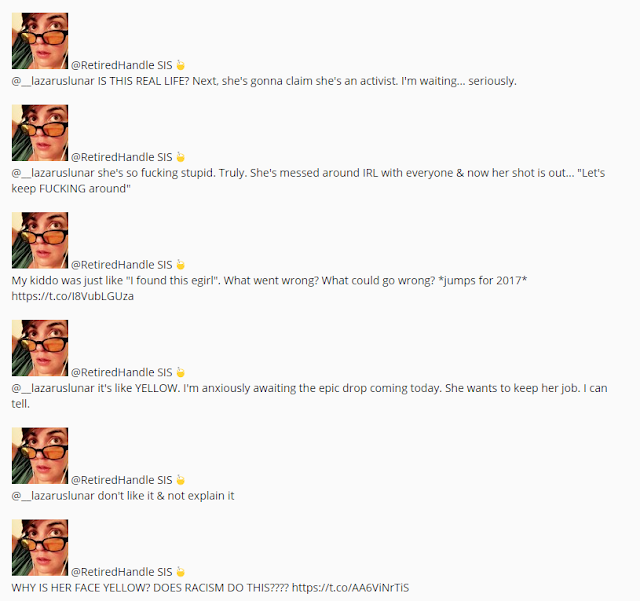 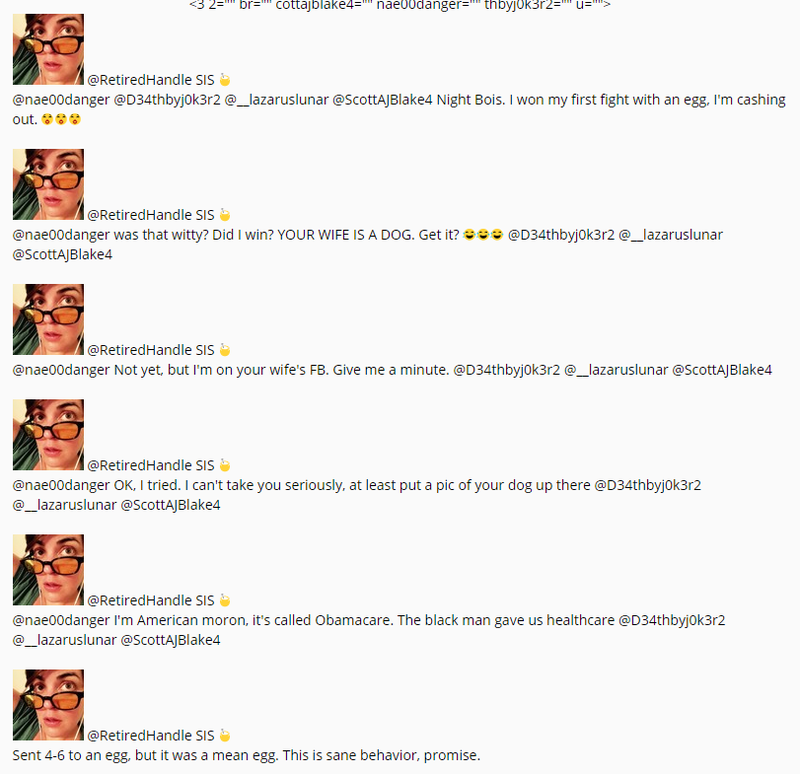 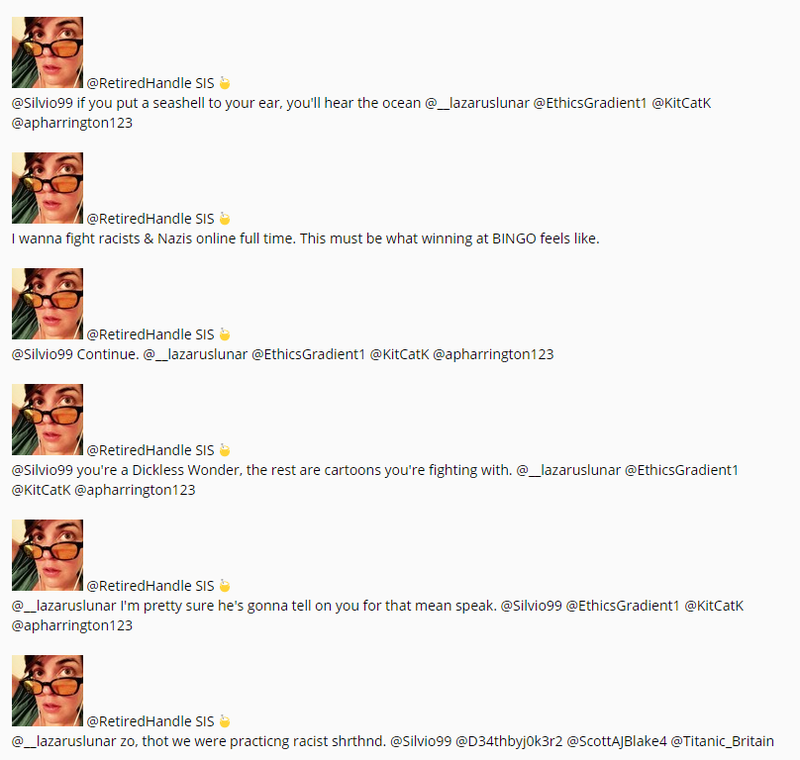 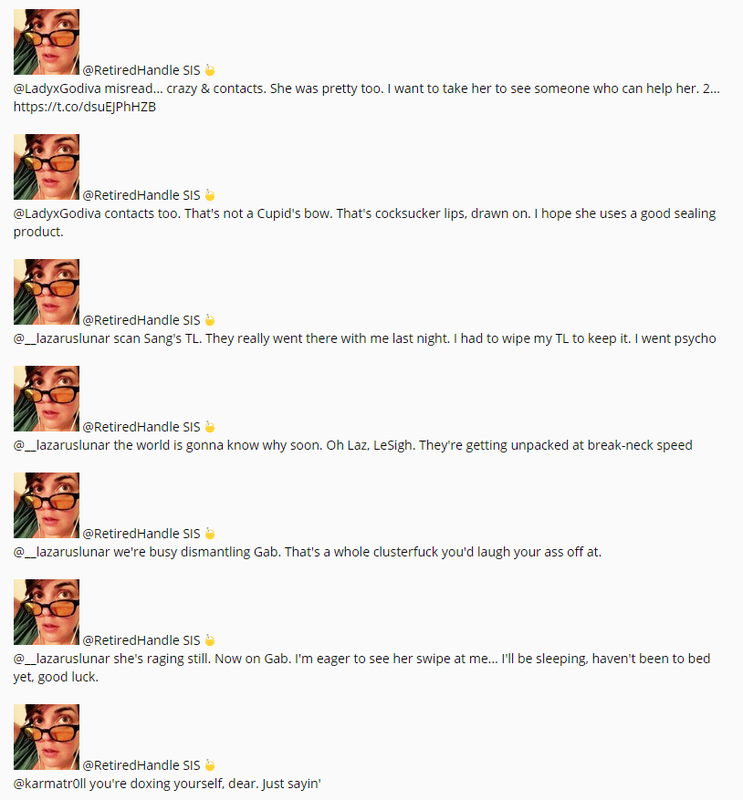 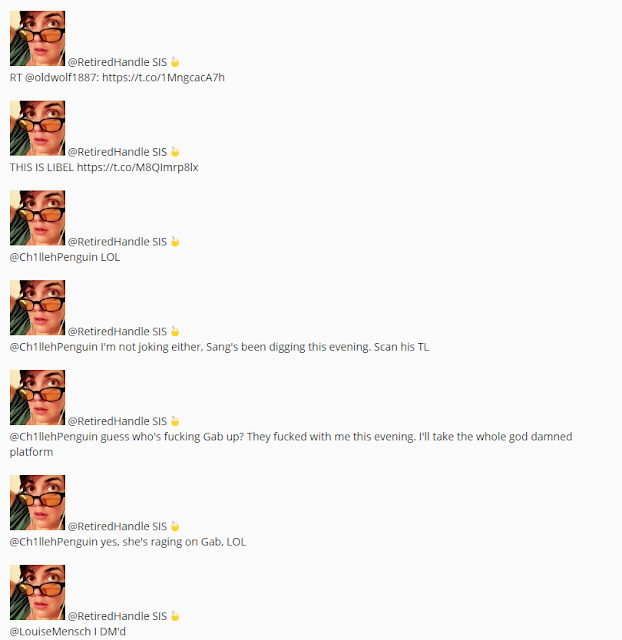 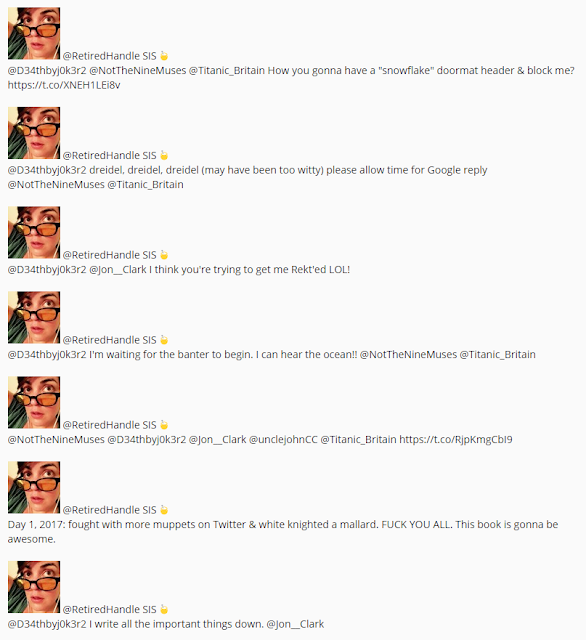 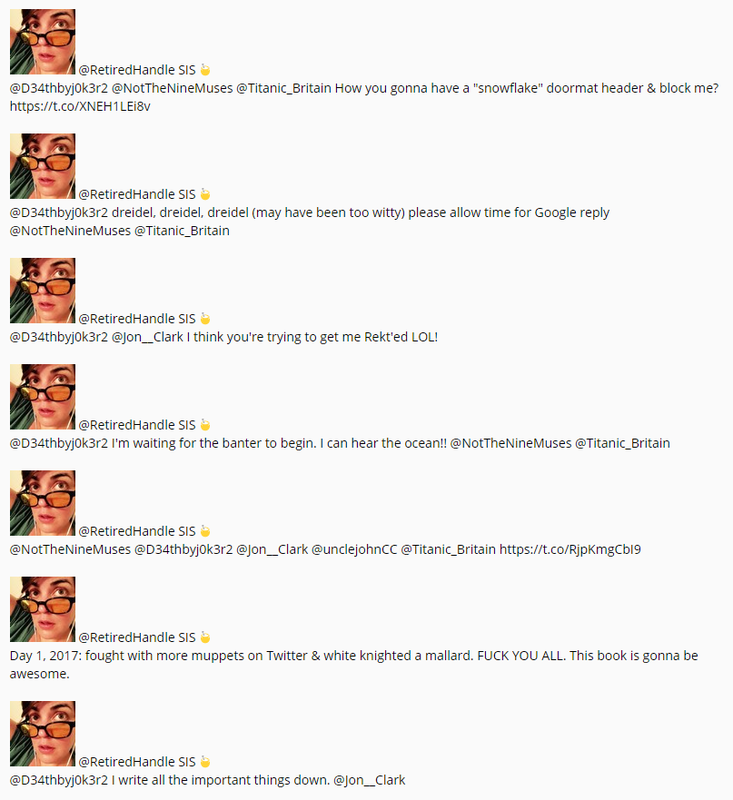 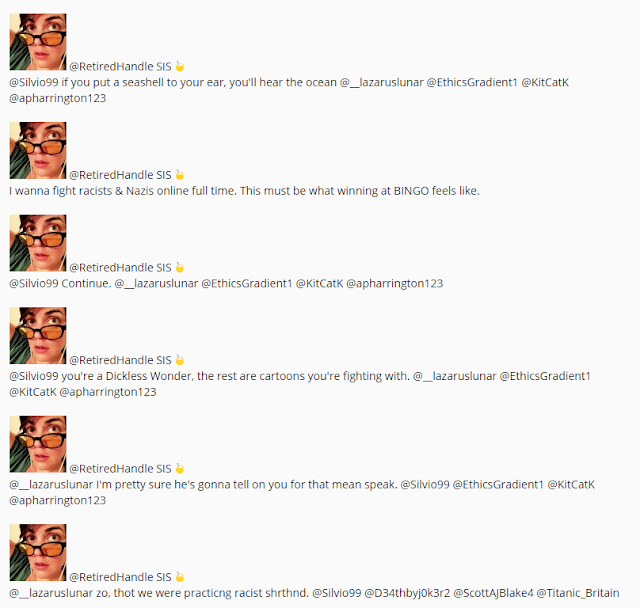 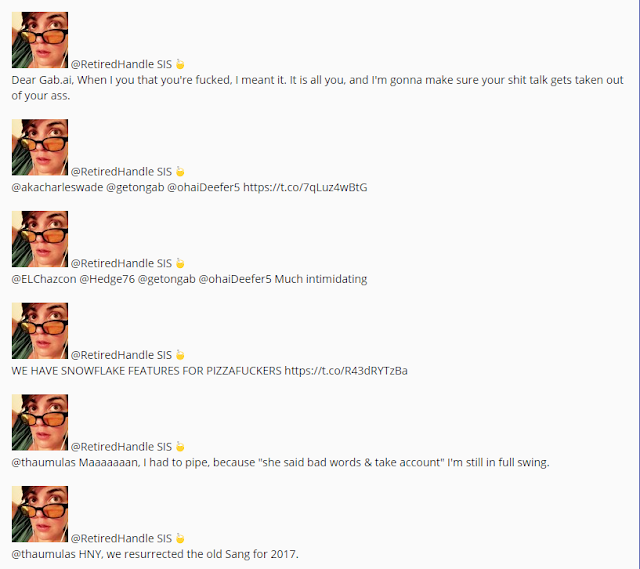 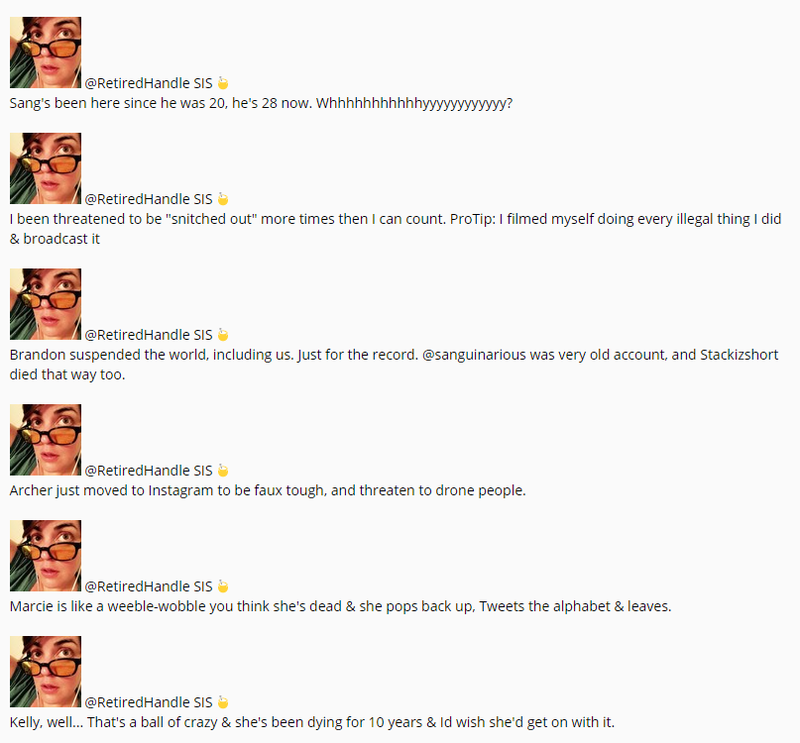 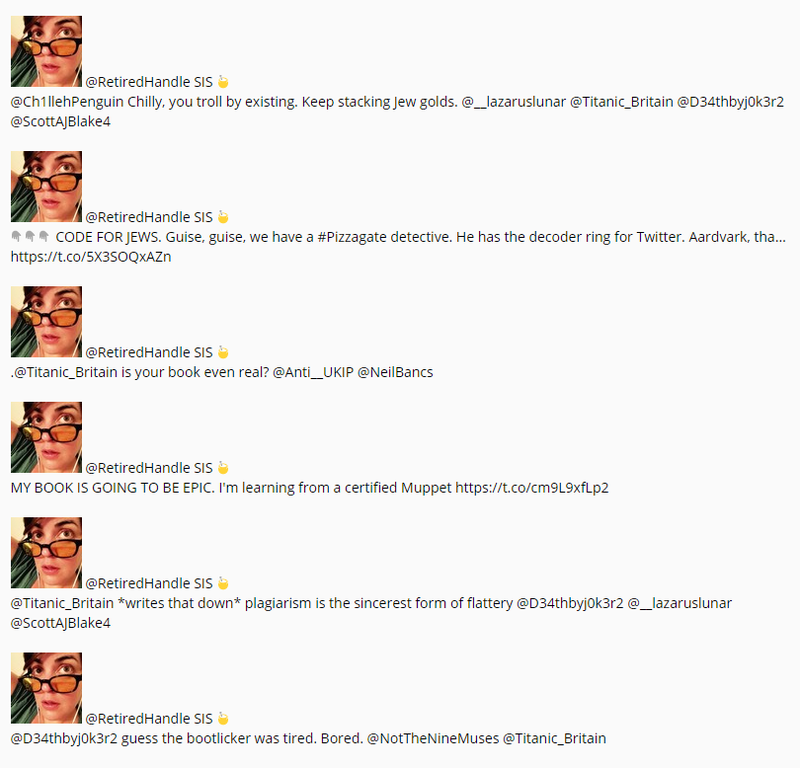 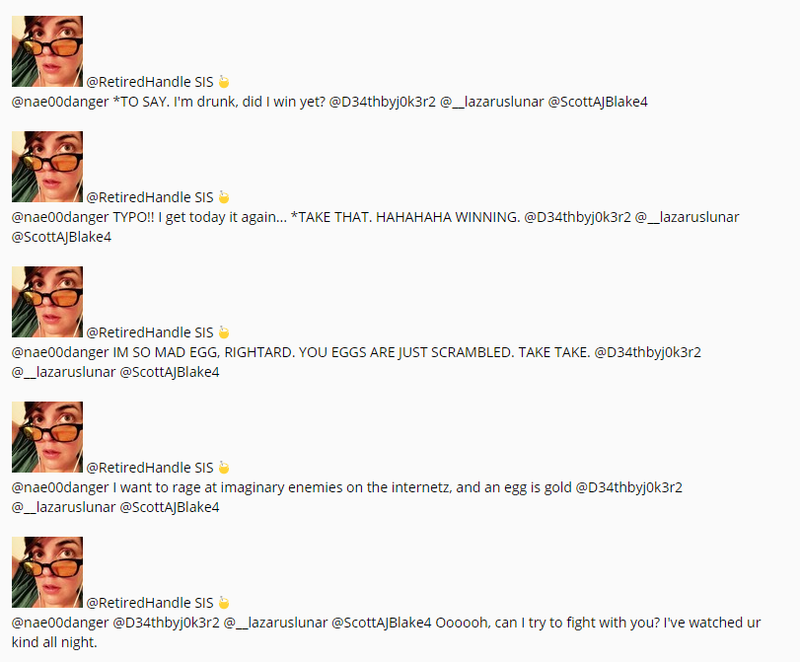 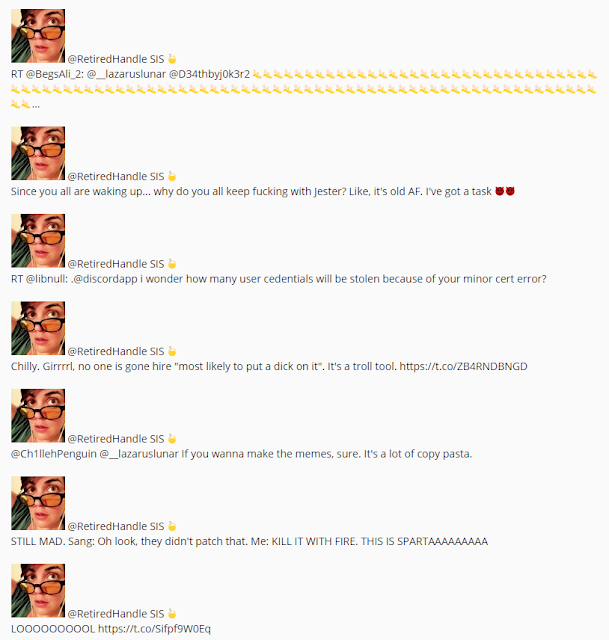 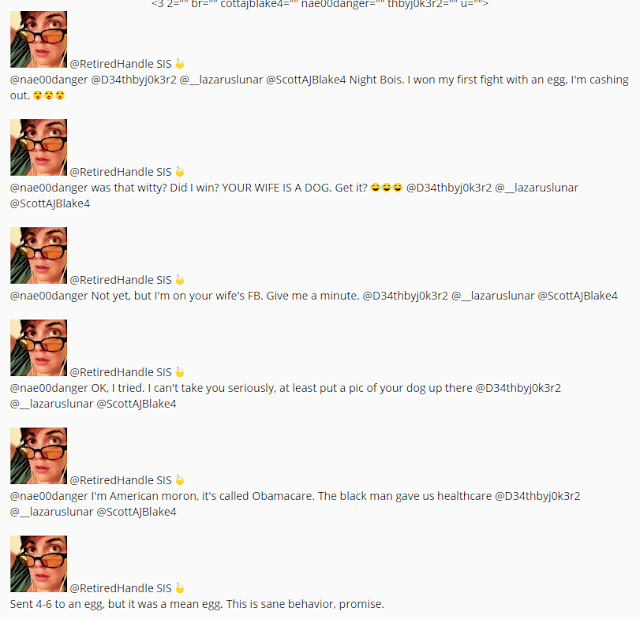 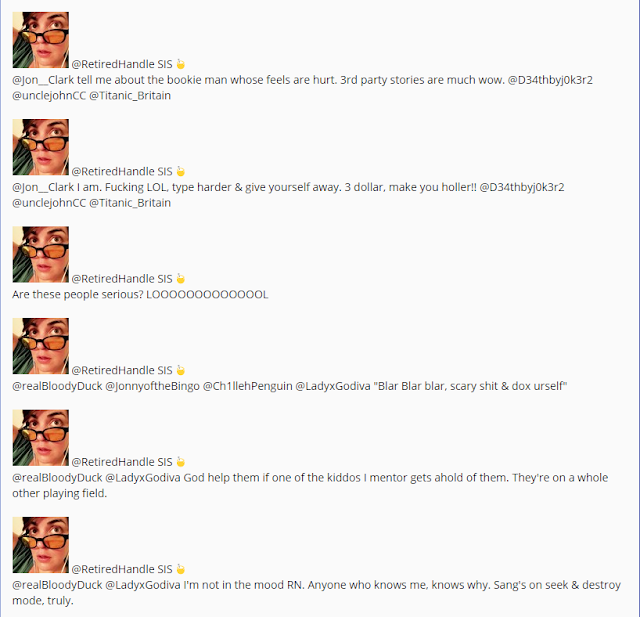 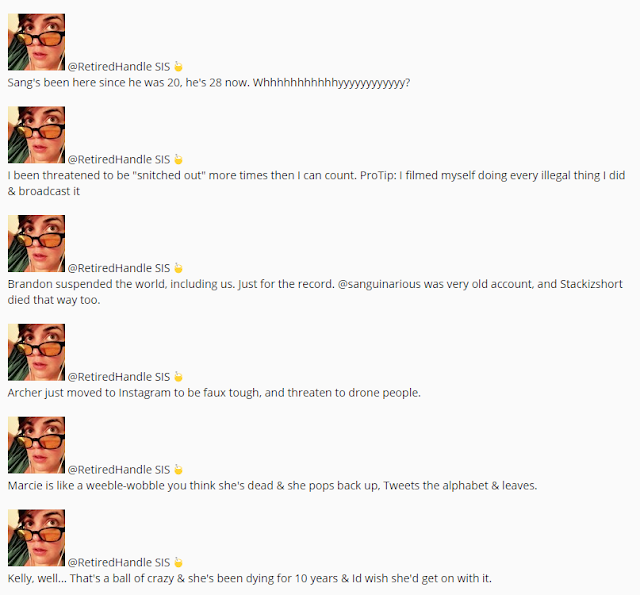 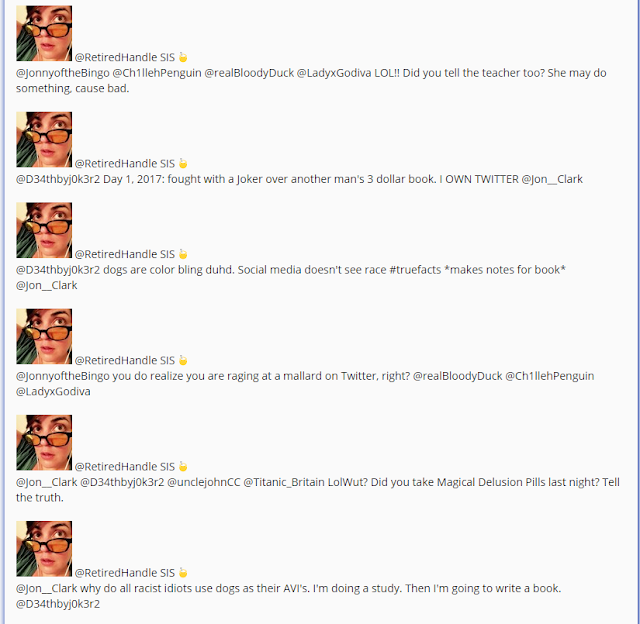 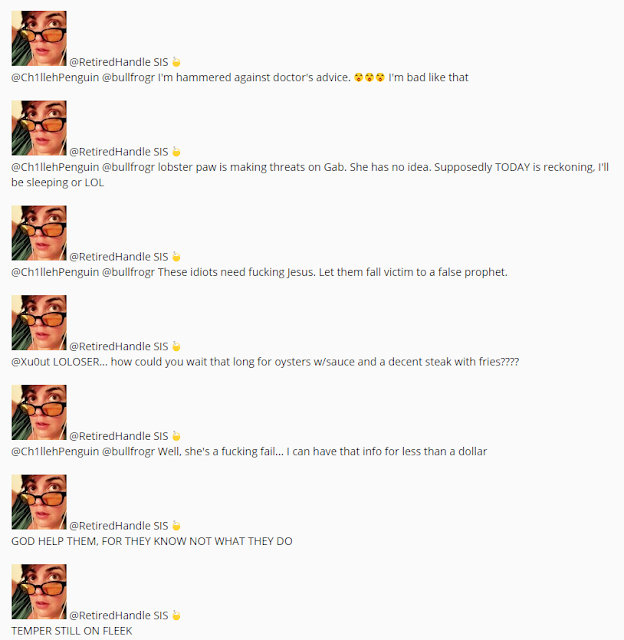 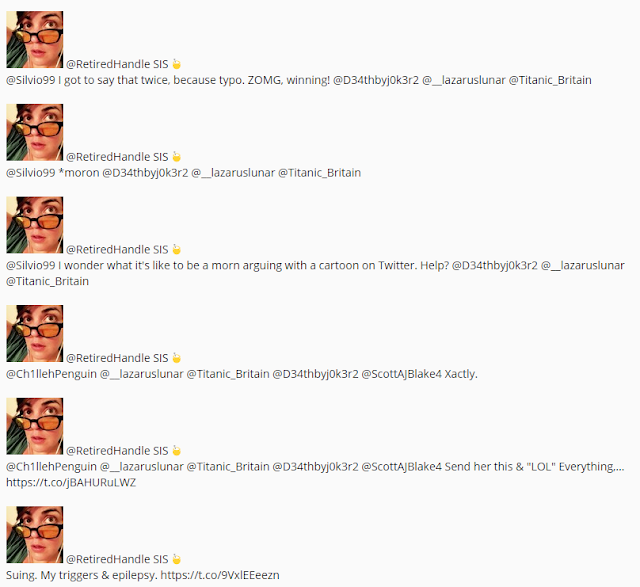 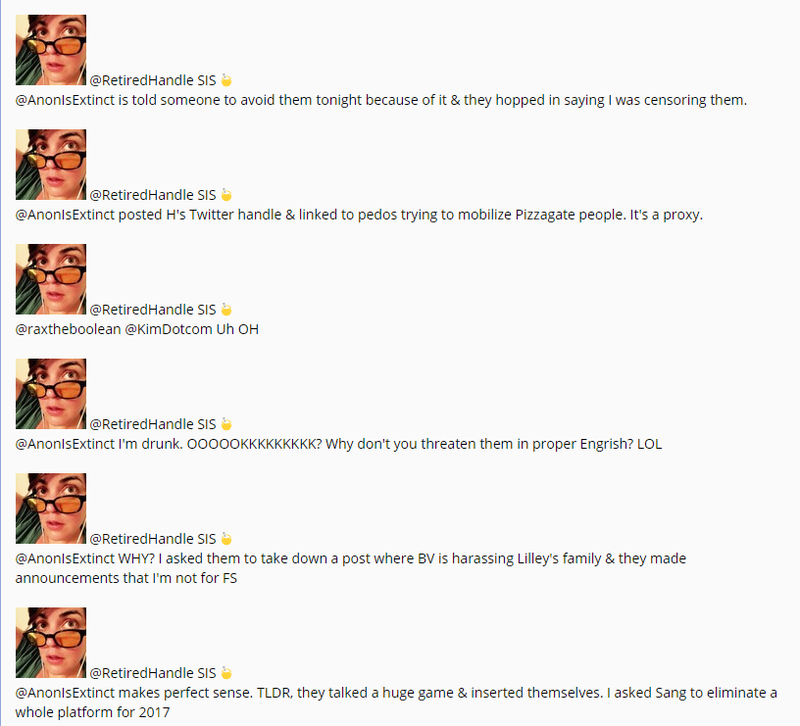 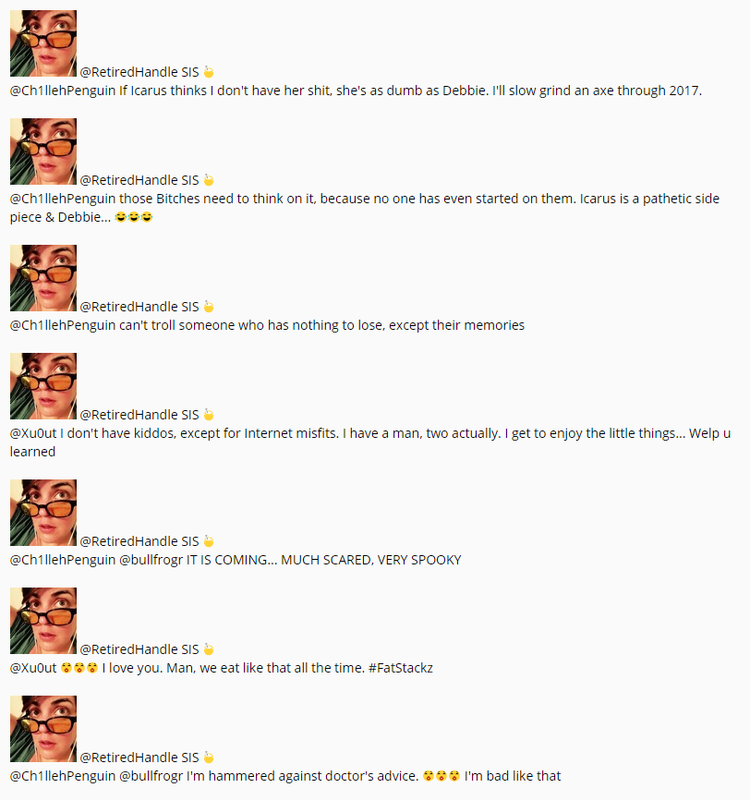 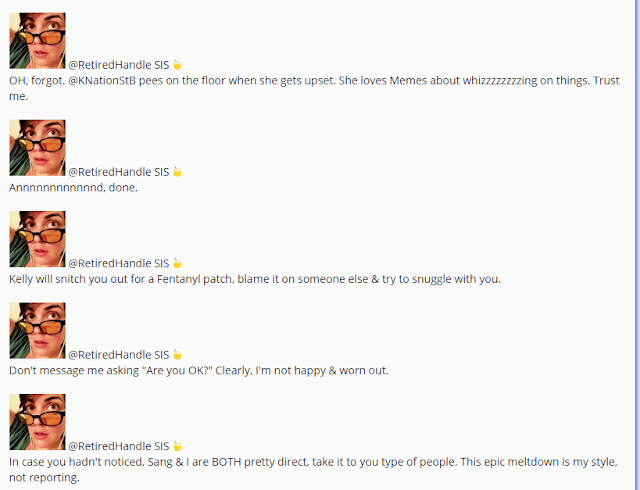 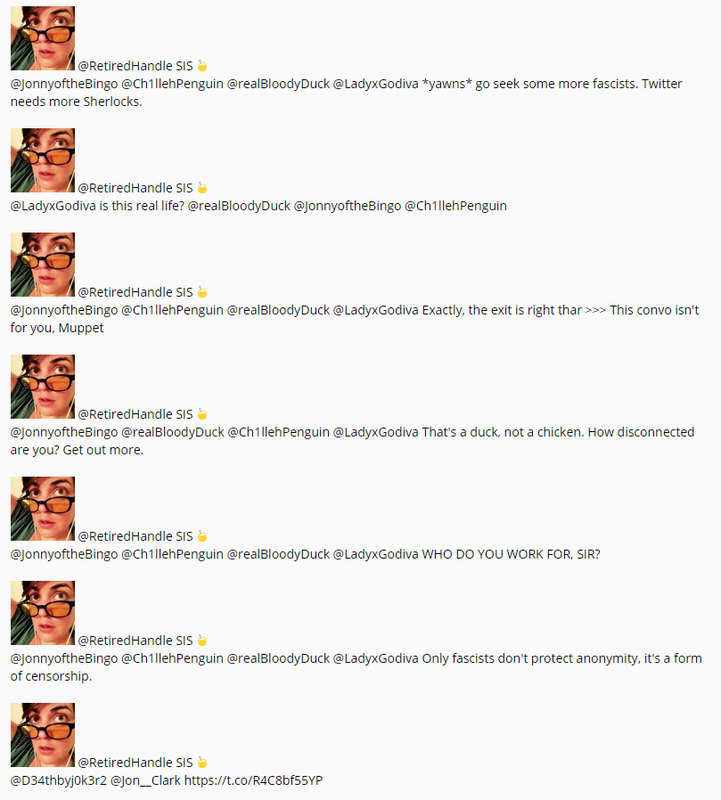 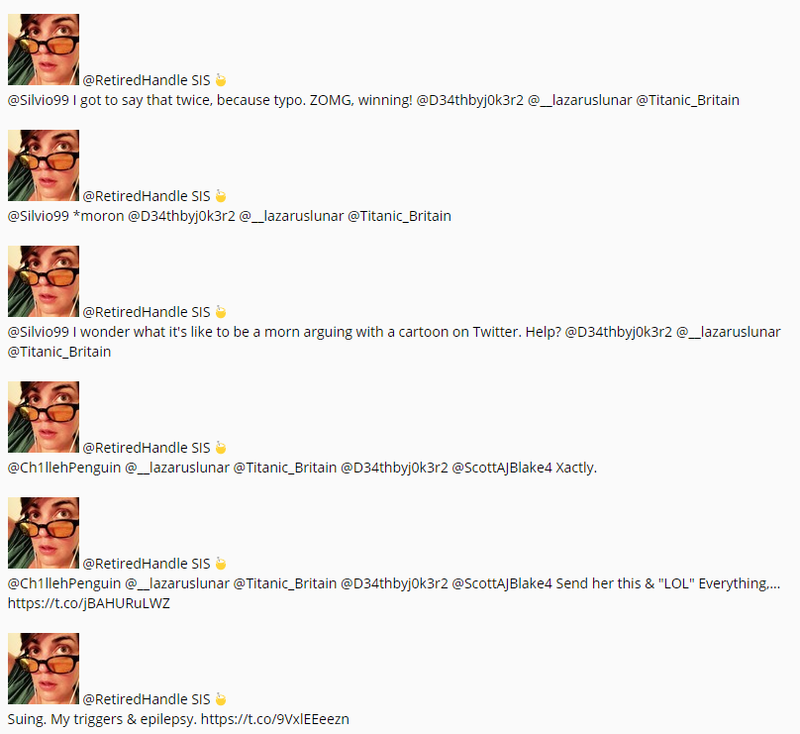 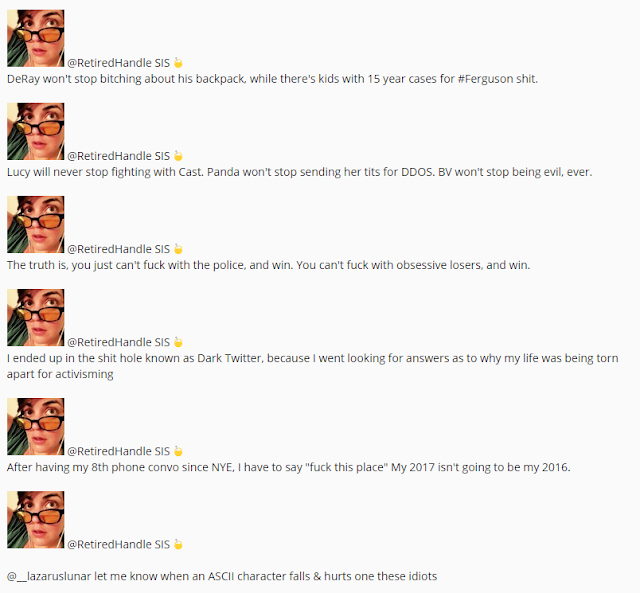 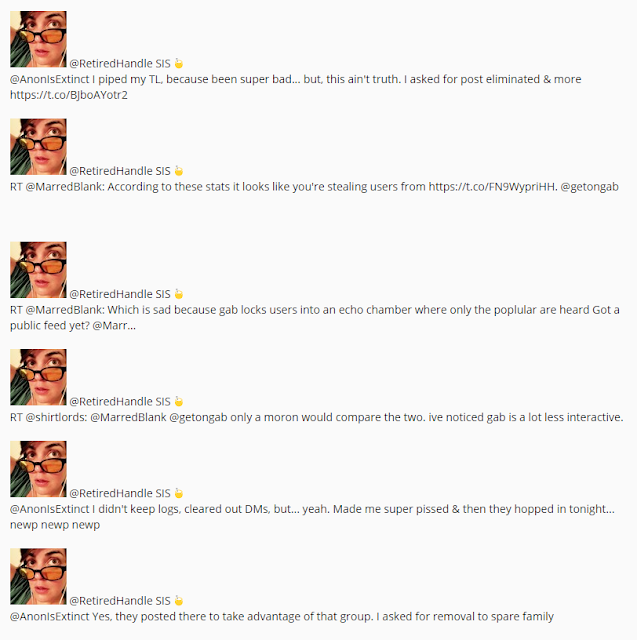 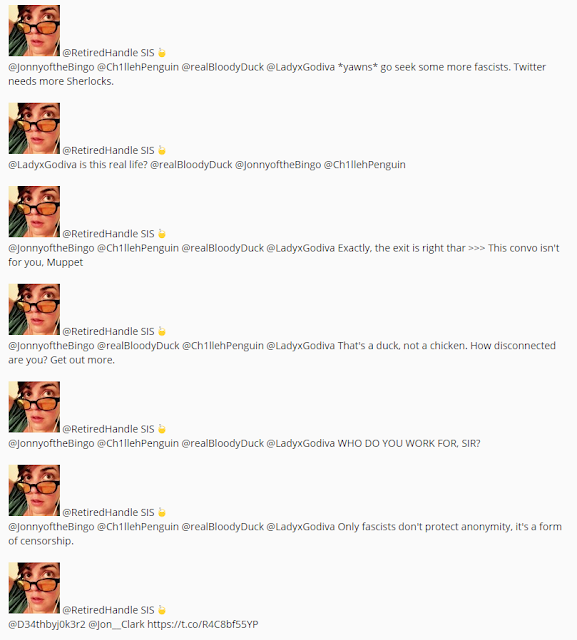 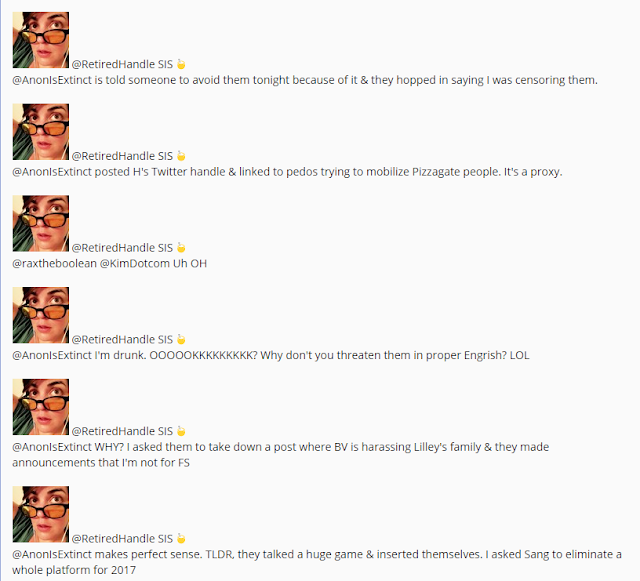 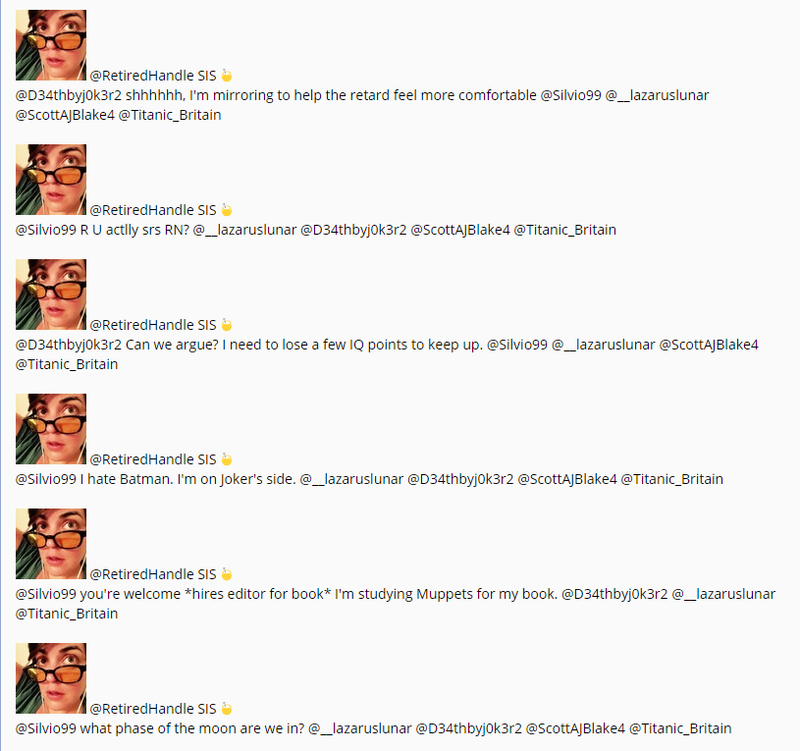 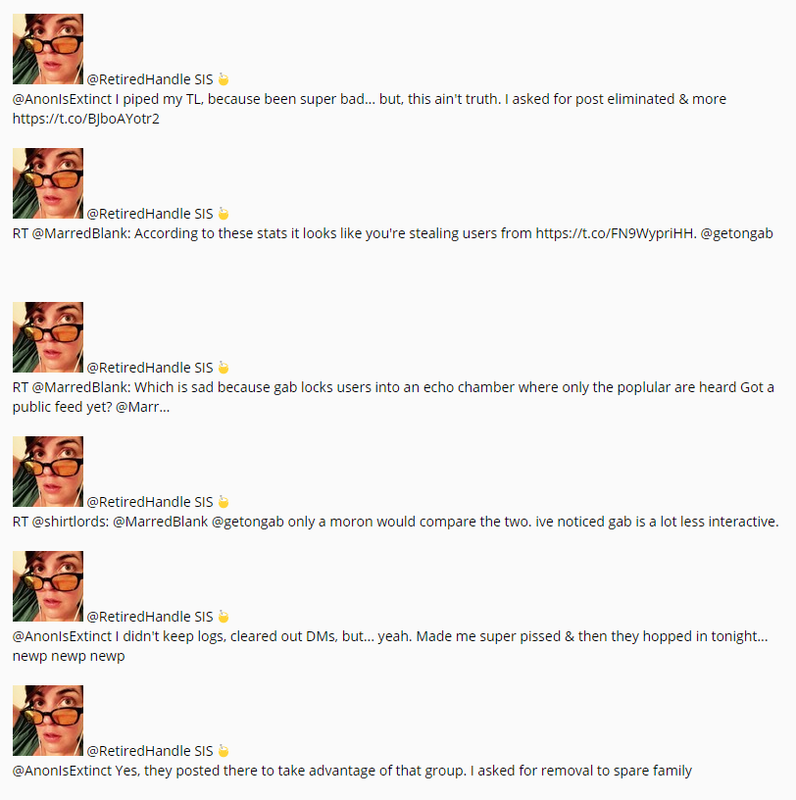 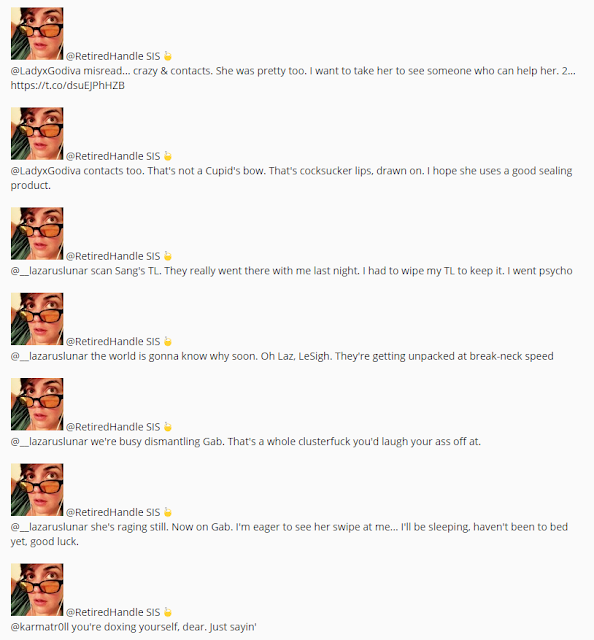 Here's a day's worth of tweets from @RetiredHandle aka Leigh Mabes, aka StacksIsShort. 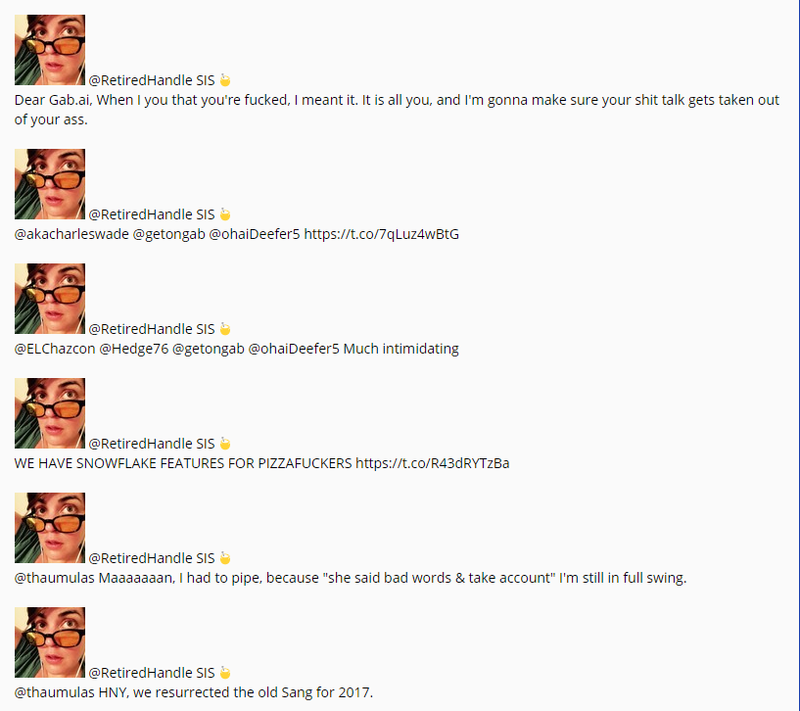 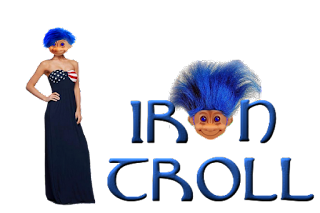 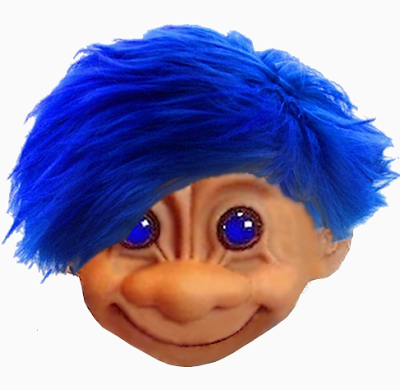 As you'll see, she's a self absorbed gossip who was once an activist for a couple weeks and thinks that puts her in some special category. In these tweets she claims she's going to take the alt right social media platform, gab.ai, down.